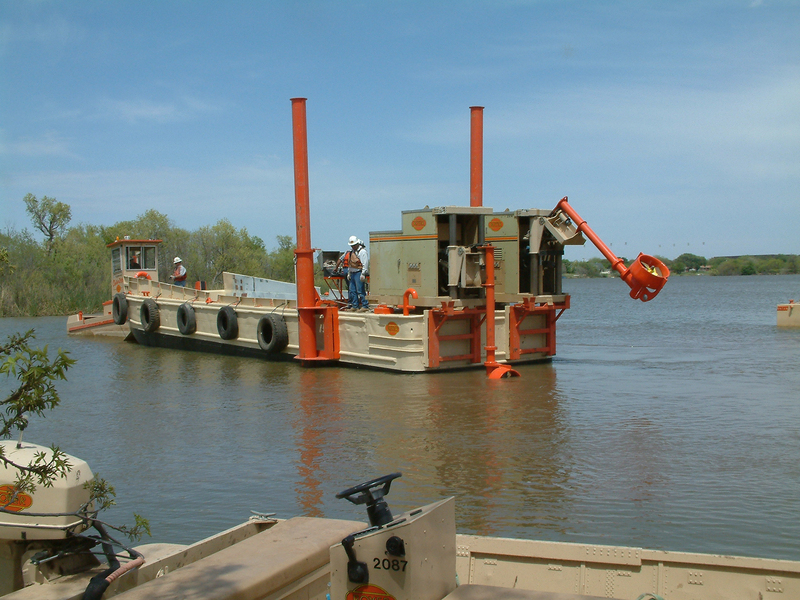 Workmasters™ are deck-mounted or transom-mounted hydraulic propulsion units. 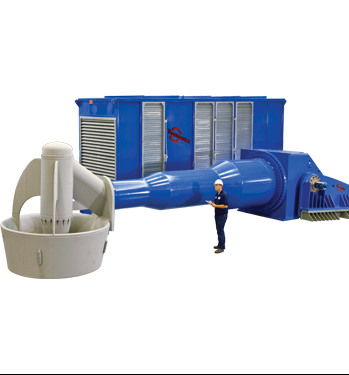 Workmaster™ models range from 35 to 1,000 HP. 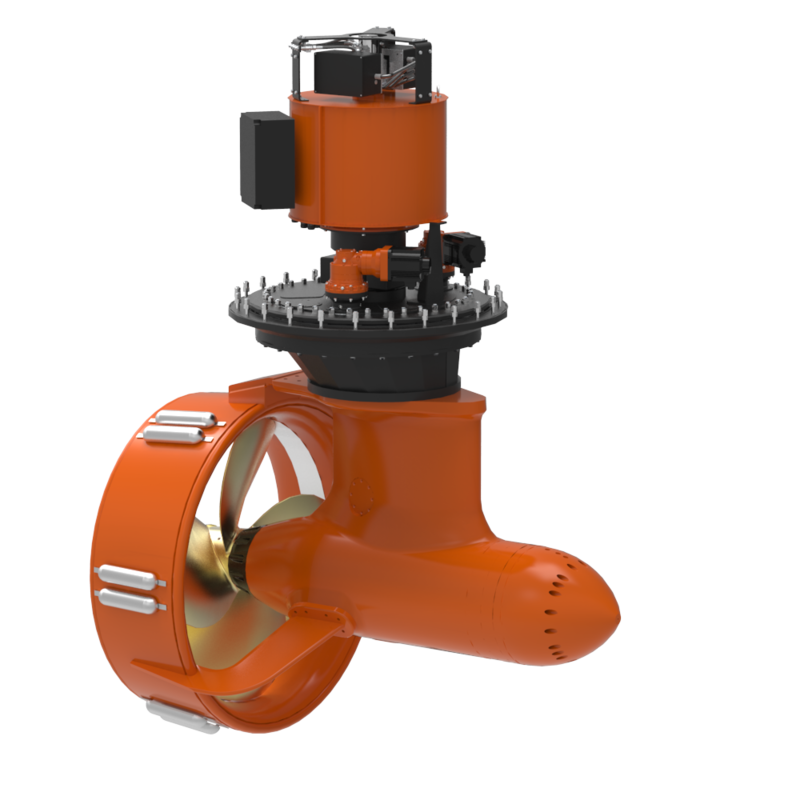 They feature steering through 180° and proportional propeller speed control in forward and reverse, providing omnidirectional thrust capability. 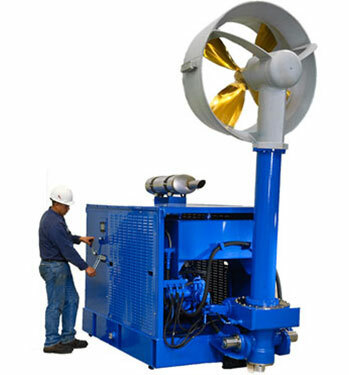 Hydraulic power kick-up and propeller depth adjustment are available. Matched to application from stock components. The outboard drive assembly includes the steering actuator, drive and stem rotation mechanisms, outboard stem, propeller hydraulic motor, propeller, and the outboard tilt mechanism. Routine servicing of the outdrive does not require disassembly of the unit. Pivot points are incorporated in the outboard drive to allow elevation of the stem for inspection or maintenance. 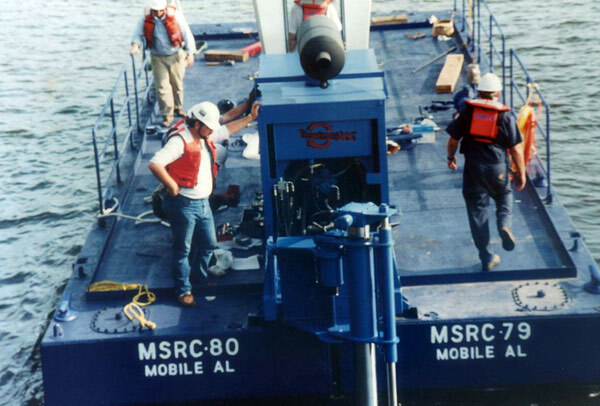 Elevation (tilt) is accomplished without disconnecting the outboard drive from the main power source so that operational control may be returned immediately and to permit maintenance and repair without employing divers or dry-docking the vessel. Each propulsion unit is equipped with electric over hydraulic steering, with a hydraulic steering actuator interconnected with a drive and rotation mechanism powered by the steering and tilt hydraulic pump. 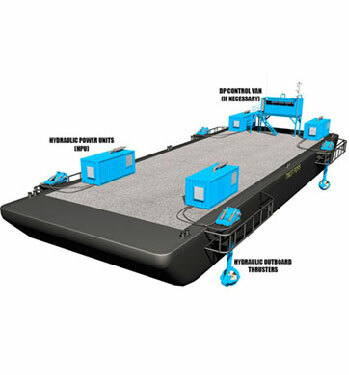 The unit steers 180 degrees, port to starboard, while subjected to full propeller thrust, facilitating the vessel's ability to maneuver nearly independent of wind and wave excitation forces. 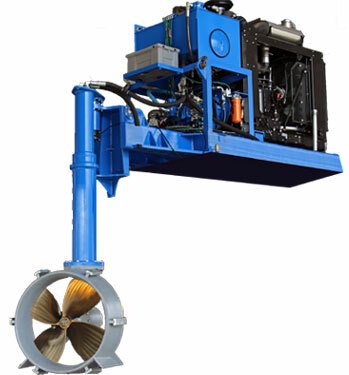 The hydraulic propulsion motor is a bi-directional, variable-speed motor directly driving the propeller shaft. The hydraulic motor is installed inside the fabricated steel lower outdrive housing. The propeller shaft is supported by large, oil-lubricated taper roller bearings. The motor produces the required propeller rotative speed and is capable of complete direction reversal at full speed and torque in less than five (5) seconds. Propeller speed can be infinitely controlled in both forward and reverse directions providing excellent maneuvering ability and performance equivalent to controllable pitch propellers. Pressure limiters and cross reliefs protect the hydraulic transmission in the event of propeller blockage. The propeller can be stalled at any time without causing damage to the transmission. The propeller shaft oil-lubricated taper roller bearings have an L10 service life in excess of 20,000 hours based on operation at full load. The outboard drive assembly is supported by a common steel skid integrated with the diesel-hydraulic power unit or a steel mini-skid arrangement, containing the hydraulic tilt cylinders and suitable for mounting to the vessel's deck at the transom by bolt-down or welding. 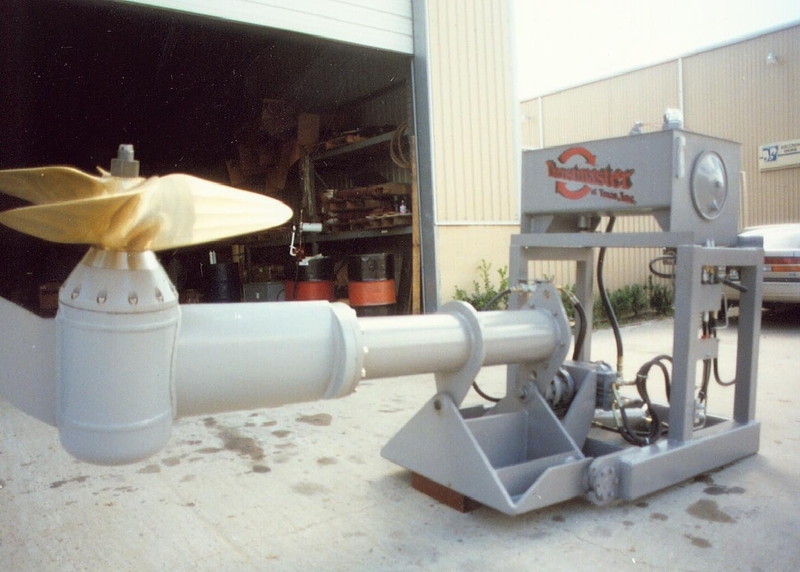 The propulsion unit incorporates a hydraulic power tilt system capable of elevating the outboard drive assembly through an arc of 90 degrees. Hydraulic oil supply for the power tilt mechanism is supplied by the steering and tilt hydraulic pump. Power tilt hydraulic cylinders and piston rods are constructed of suitable alloys to prevent marine atmospheric corrosion. The cylinders are of sufficient volume and stroke to provide the full 90 degree arc of the outboard drive while subjected to full propeller thrust loading. 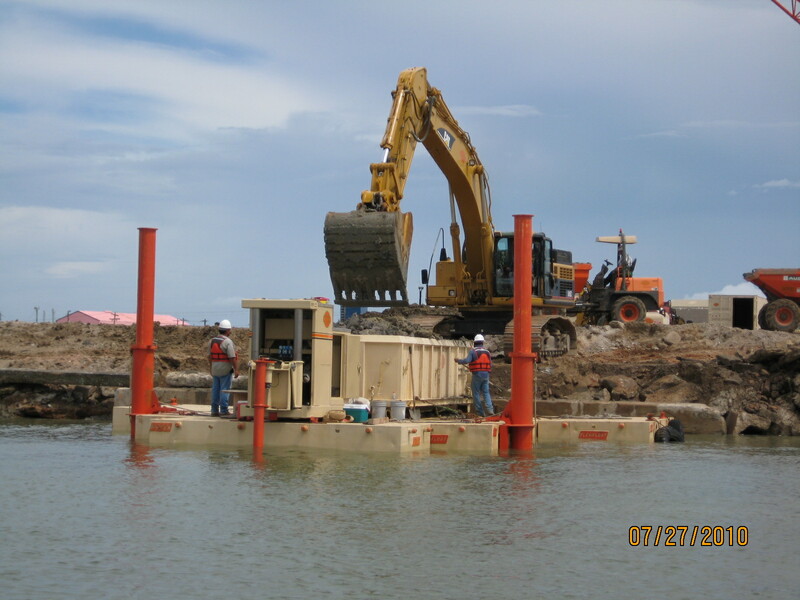 The hydraulic power tilt system incorporates cross-port relief valves that allow the outdrive assembly to kick up in the event it encounters a subsurface obstruction or in the case of grounding, making them ideal for shallow draft applications. An optional propeller depth adjustment mechanism can be provided to vary the propeller depth for light and loaded draft conditions. Hydraulic oil supply for the mechanism is supplied by the steering and tilt hydraulic pump. When the vessel is in shallow water, the propeller can be lifted above or even with the baseline; when in deep water, the propeller can be lowered below the baseline for maximum propulsive efficiency. 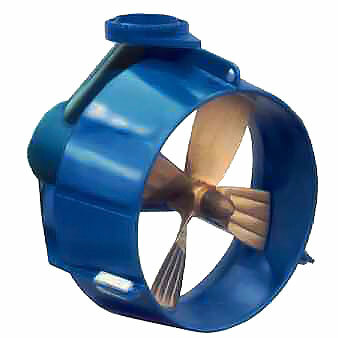 Open-wheel units are with a Gawn-series, 4-blade, high-thrust, manganese-bronze monoblock propeller. A heavy-duty anti-cavitation plate covers the propeller to prevent vortexing at light ship displacements. Nozzle units are equipped with a Kaplan accelerator-series, 4-blade manganese-bronze monoblock propeller inside a Kort 19A style steel nozzle. The propeller diameter, blade pitch and area ratio is calculated to provide either maximum static bollard thrust or maximum thrust at the required vessel speed taking into account the vessel draft conditions.